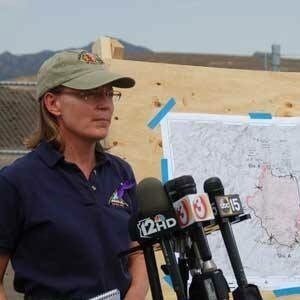 Suzanne Flory has been involved in wildland fire for over 20 years, beginning as a Forest Service seasonal firefighter. She now assists with Incident Management Teams as a Fire Information Officer and Liaison Officer as one of the many USDA Forest Service employees deployed to western fires and other natural disasters around the country. Hear firsthand what life is like in fire camp, how incidents are managed, and how our wildland firefighters respond. Join us during an evening of delicious nibbles and expanding your knowledge. Donation bar and complimentary appetizers and desserts from 5-6pm, program from 6-7pm.